In our modern lifestyle today, everyone simply relies on electricity. Let’s face it. We have got our smartphones, computers, television sets, and other devices that make our everyday lives a whole lot better. We depend on these things, and these things depend on electricity. But, in the more recent years, a lot of natural instances have been occurring. We’ve got storms, hurricanes, floods, and other environmental calamities that we just cannot avoid. These things happen all around the world and there is no better way to handle that than to be prepared. Thankfully, despite all of those inevitable occurrences, we also have generators. What makes Sportsman Generators great? For the past decade or so, generators have become more and more of a necessity than just a luxury. It is a device which can determine your great chance at survival whenever calamities come our way. And it’s not just for disaster preparedness. Generators have been serving a lot of different purposes now. From camping activities to working sites outdoors, these backup power sources can really make a world of a difference. So if you are one of the very few out there who still don’t own a generator or you are still holding on to your old and busted one, this is the time to start looking for a new one. And don’t just get any other generator. It should be high-quality, strong, and capable. For that, we have Sportsman Generators. Sportsman Generators are a line of generators from the well-known brand Buffalo Tools. All units are designed and intended to be portable generators with a pack-full of power. 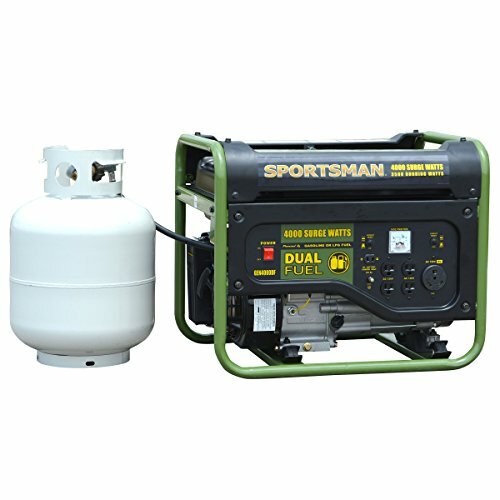 Some Sportsman generators are even so full of features that they can easily be considered as a replacement for higher end generator models. Sportsman Generators are great primarily for the fact that they are easy to transport without compromising its ability to supply an adequate amount of power. These portable generator units can cater everyone from all walks of life and would surely not disappoint. They have a wide range of designs which are made to accommodate almost any type of requirement and it all has the capacity to deliver any kind of job. Before we show you our top recommendations for Sportsman Generators, it is important to consider a few things that will eventually lead you to the best unit that will truly suit your needs. Although Sportsman Generators are primarily portable types, they still pack a punch when it comes to power output. The power capacity of generators is measured in watts. This determines the amount of power it can deliver to supply whichever appliance you need. If you only require the basics, then choose a lower wattage. It’s also important to know about the difference between the continuous watt and surge watt since this is what you will see first when looking for generators. The continuous watt is what the generator produces continuously while the surge watt provides an extra surge of power that can help start electric motors. There’s a wide range of Sportsman Generators with various power outputs so just make this factor a priority before choosing a unit. The amount of time your generator can last is a big deal, but you will also have to consider how much power you are going to need. When it comes to portable generators, it’s better to decide between runtime or power output. This way, you can really get the most out of your unit. 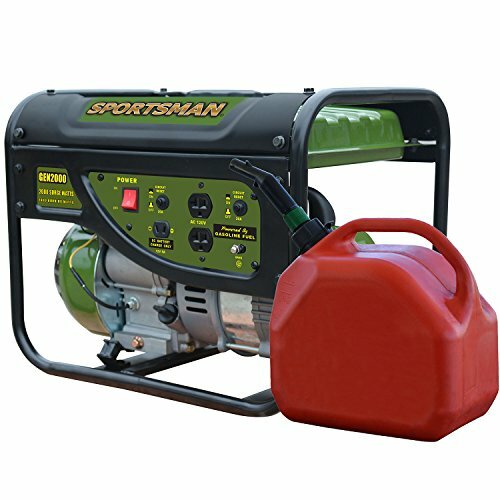 Sportsman Generators are portable types, but they also have inverter generators which are really popular from the brand. The idea of having a portable generator is to be able to bring the unit along whenever and wherever, right? Right. Portable generators are more affordable than the others, but they run on gasoline which is not that ideal for everybody or every situation. Inverter generators, on the other hand, are a more sophisticated version of conventional generators. They are much quieter than the rest and they have a more complex design of features. Luckily, the inverter units from Sportsman Generators are also fairly portable. So choosing between the two models would truly boil down to personal preference. The Sportsman 1000 watt inverter generator is a great entry-level unit that gives a clean and stable voltage. It delivers a reliable source of power for various appliances, even for sensitive electronics. It has a 1.3 HP 4-stroke OHV engine with a recoil start and an engine shut-off switch for ease and accessibility. The unit has an engine run time of 6.3 hours at a 50% load which is pretty great for multiple situations. The Sportsman 1000 runs on gasoline and it comes with both an A/C and D/C outlet in 120 volts and 12 volts respectively. It has a fuel capacity of 1.7 gallons and an oil capacity of 10 fluid oz. The Sportsman 1000 Watt Inverter Generator is a pretty basic model that serves it full purpose. It has a pretty decent run time and a good power capacity. It is also relatively quiet and extremely lightweight. 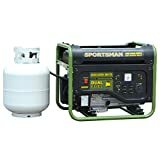 The Sportsman GEN2000 Portable Generator is a gas powered unit with 1400 starting watts to 2000 watts rated. It has an engine with a power capacity of 2.6 HP in a 4 stroke OHV engine. It can power most of the common household appliances as well as various power tools. The GEN2000 is equipped with two outlets for battery charging in 120-volts and 12-volts. It has a recoil start design and an engine shut-off switch for convenience and safety. It can run for 9 hours straight at a 50% load of 1.2 gallons of unleaded gasoline. The GEN2000 Sportsman Generator is an ideal unit for tons of different activities such as camping and outdoor work. In case of a power outage, it can easily save everyone’s day by powering up many home appliances. It runs a good 9 hours on an unleaded gasoline which is also pretty easy to find. 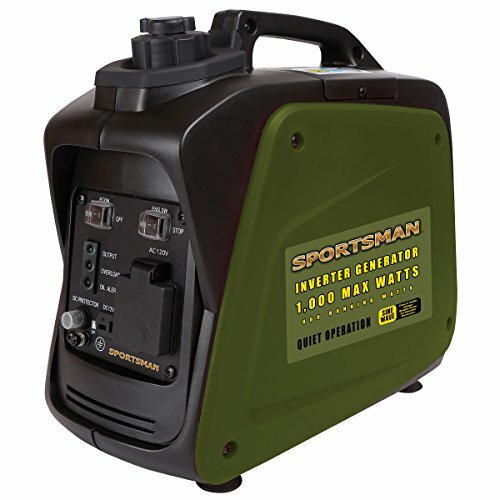 The Sportsman 3500 is an inverter generator with a starting watt of 3000 and a rated watt of 3500. It’s a compact sized unit that packs a punch with a 5.5 HP 4-stroke OHV engine. It comes with both an A/C and D/C outlets at 120 volts and 12 volts respectively, plus an RV ready outlet at 120 volts. The unit also includes wheels with one locking caster. It’s the perfect company when traveling in an RV and camping. 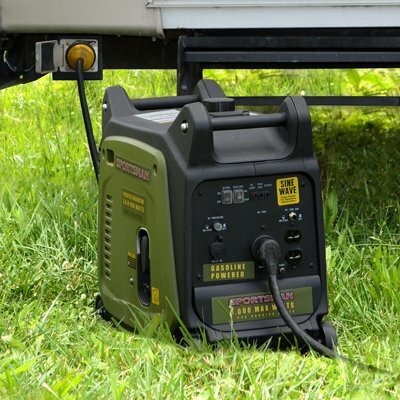 This inverter generator has a 1.7-gallon fuel tank and an oil capacity of 30 fluid oz. It’s designed with a recoil start, an engine shut-off switch, and a low oil shutdown. The Sportsman 3500 can run for about 8 hours at 50% load. The Sportsman 3500 Inverter Generator is a powerful unit that has a pretty long run time. Apart from the usual outlets, it also comes with an RV outlet. The unit is also equipped with wheels and a one-lock system, making its portability more convenient. 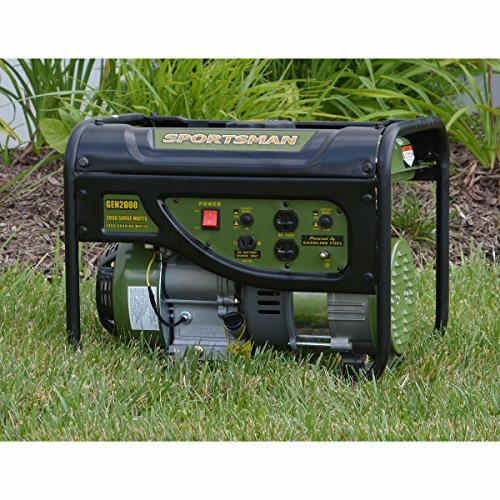 The Sportsman GEN4000 is a portable generator with a dual-fuel capacity. It can run on propane or gasoline. It has a 7 HP 4-stroke OHV engine, a fuel capacity of 3.6 gallons, and an oil capacity of 18.5 fluid oz. This powerful yet portable gas-powered generator is equipped with four 120 volt A/C outlets, a 12-volt D/C outlet, and a 120-volt RV outlet. It also has the same recoil start feature as well as an engine shut-off switch like the others. It runs for 10 hours at a 50% load. 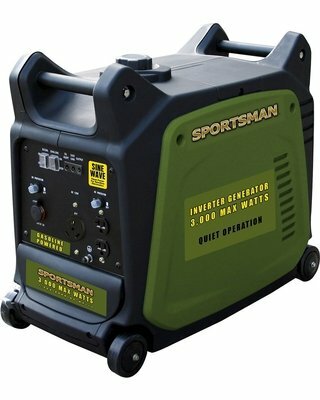 The Sportsman GEN4000 portable generator is a powerful generator that can handle most needs during various activities and situations. It has a very long engine run time of 10 hours on a full tank of gasoline which is really useful especially for outdoor recreations and power outages. It’s convenient and reliable. 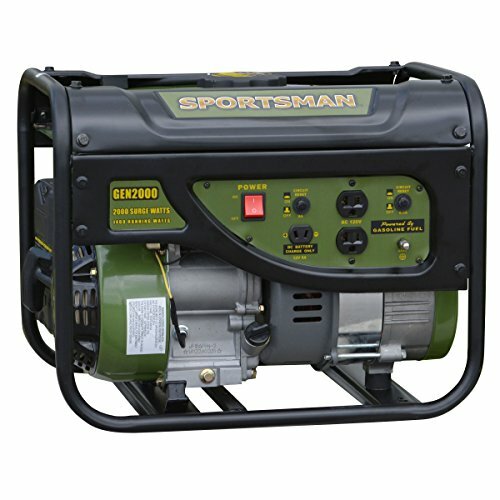 Sportsman Generators are truly some of the best working generators in the market today. These four models from the Sportsman line has their own unique features while still carrying the trademark innovations of the brand. But out of the four units that we have featured in this review, three have definitely stood out with rightful reasons. 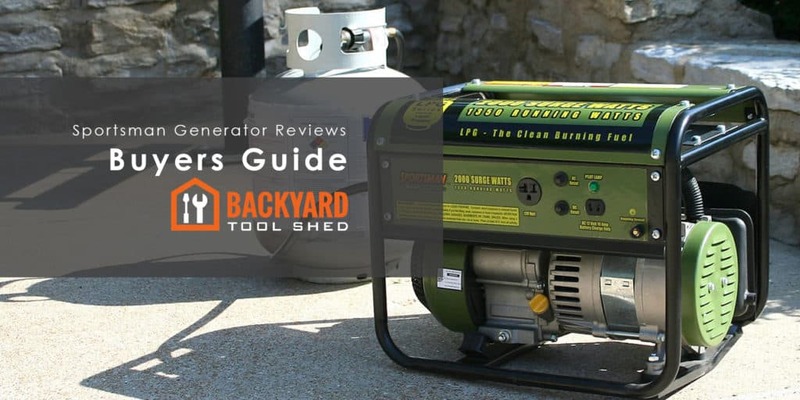 Here is our comparison breakdown of the top three Sportsman generators. 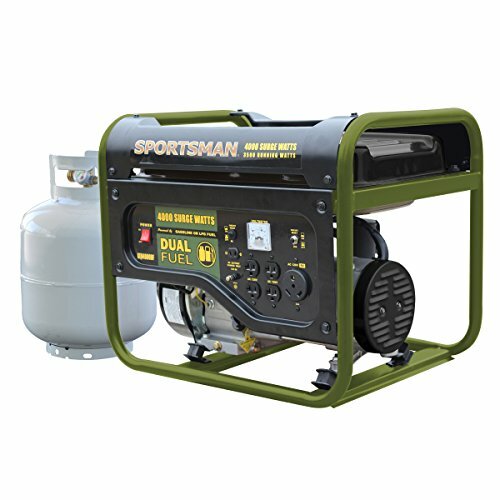 The Sportsman 1000 is your basic generator unit while the GEN2000 is a slightly more upgraded one. 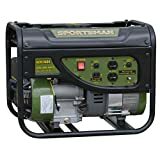 They both have the typical Sportsman features and functions aside from the fact that the first one is an inverter type which is quieter, while the other one is your regular portable generator. There is also some difference in terms of power capacity. It’s not a lot, but there is something. The GEN2000 and the GEN4000DF are both portable generators. Both are also a bit heavier and louder. With these two units, there is quite a big difference especially in terms of the features. Between the two, the GEN4000DF is favorable since it is has a dual-fuel design and is extremely more powerful. When compared to the Sportsman 1000, the Sportsman GEN4000DF is a clear winner. That is, of course, if you are after the power and strength of a portable generator. Although significantly heavier than the Sportsman 1000, it definitely makes up for it in its capacity to power up various appliances. The GEN4000DF also has a longer running time. Overall, if you are after something that is functional and can cater to a lot of electrical needs, the Sportsman GEN4000DF Portable Generator would be your best bet. However, if you are looking for a basic model, the Sportsman 1000 Inverter Generator is also a good choice especially since it is very portable and lightweight. Then again, purchasing a generator set is not something to take lightly and it requires some serious thought before investing on your own unit. Consider what will work best for your needs and your lifestyle.